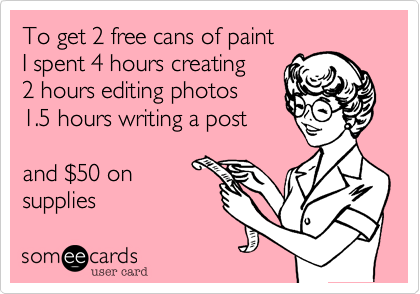 Sometimes craft and DIY bloggers are offered free product in exchange for posting about their experience with the product. And sometimes the value of the free product makes the exchange worthwhile. However, in many cases, you'd be better off not getting the "free" stuff, and instead focusing your time and energy on activities that will help grow you and your blog.